Now, we’ve known each other for seven and a half years, haven’t we, Dr. Kawashima? Yes. That’s quite a while! 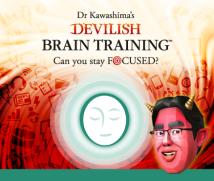 The history of Dr. Kawashima’s Brain Training: How Old is Your Brain?1 can be traced back to the 2 December 2004 – the day the Nintendo DS system was first released in Japan – when I visited you and showed you some prototype software we had made. We’ve known each other ever since. It just so happens that we’re of the same generation, and that we share many of the same experiences.1 Dr. Kawashima’s Brain Training: How Old is Your Brain? was a software title for the Nintendo DS™ system. It was released in May 2005 in Japan. Yes, we were in the same school year. When I found that out, I thought I should go and take the prototype of Brain Training to you in person. To be honest, I was a little guarded when I heard you were visiting. 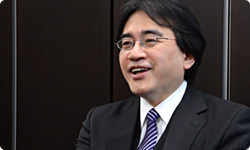 I wondered why in the world the president of Nintendo was coming to see me! (laughs) After we met and talked, however, I discovered that we were on the same wavelength – uncannily so. I remember excitedly suggesting that we tried measuring users’ brain activity as they used your prototype software. I really got the sense we were ‘on the same wavelength’ as well. I already knew about your series of drills for adults2, and had actually tried some of them for myself. I thought they were really good fun, and I was keen to make them into a video game. We had a really lively conversation – even though it was the first time we’d met!2 Dr. Kawashima has written books including Train Your Brain: Calculation Drills for Adults – 60 Days of Simple Calculation and Train Your Brain: Reading-Aloud Drills for Adults – 60 Days of Reading Famous Works Aloud and Taking Kanji Dictation. The two books were released by Kumon Publishing in November 2003 in Japan, and became very popular. You were kind enough to evaluate our prototype software that very day. You said the software was fine, that it was having an effect on the brain and could be made into a product. By the time I left, you had given it your endorsement. We had originally arranged to meet for just 30 minutes, but we ended up talking for three hours… (laughs) It turned out to be a very significant day! When we first made Brain Training, it didn’t occur to me that it could become such a phenomenon. How did it look to you, Dr. Kawashima? I had the same feeling as everyone else – I had no idea it would become so popular. I did think it would attract some attention since it was being made by Nintendo, but I really didn’t think it would become so big, and that everyone would start talking about it. I was confident that we had made something that was fun, but I had no idea how it would be received by people who had never played video games before. We just had to release the software and see what happened. (laughs) To be honest… I had my doubts about taking Brain Training overseas. I had the feeling that things like diligently chipping away at calculation drills, for example, were more suited to the Japanese temperament. Well, reading, writing and arithmetic have always symbolised one part of the Japanese culture that Kumon Publishing exports to the world. Yes. However, some people claimed that such things were part of ‘the way of the samurai’, and wouldn’t become very popular overseas. In that sense, there was a big question mark for me about how Brain Training would be received by the world. Well, in the end it became something of a social phenomenon, with sales in Europe actually surpassing Japanese sales. 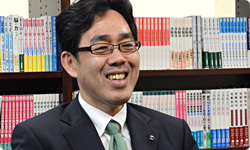 I think the software played a role in introducing your research to the world, Dr. Kawashima. There was a big debate at his workplace and at his son’s school, apparently. Some people were saying, ‘He’s real!’, while others said, ’No, he’s a virtual person!’ This professor told me he was delighted to meet me in the flesh.